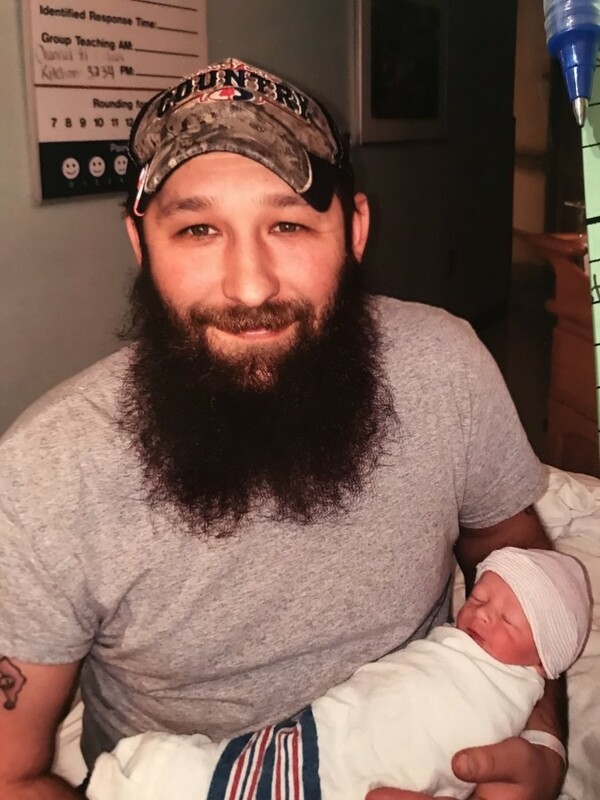 Jesse Lee Gromley, 32, of Glen Campbell passed away on Friday, March 22, 2019 at home. He was born on October 04, 1986 in Punxsutawney, a son of the Robert Gromley, Sr and Debra (Williams) Gromley. His mother Debra and Randy Vanderhoef survive and reside in Knoxdale. Jesse attended Purchase Line High School. He also attended Gipsy Christian Church. On June 2, 2007 he married Christine Craft. She survives and resides in Glen Campbell. He worked as a coalminer for Amfire Mining, it was a job that he truly enjoyed doing and was proud of it. Jesse was a former member of Glen Campbell, Punxsutawney and Elk Run Volunteer Fire Companies. His enjoyments were spending time with his family, as they meant the world to him. He and his wife Christine just had a new baby seven weeks ago, as well as a eight year old daughter that adored him, they looked forward to raising their children and growing old together. He will be sadly missed. Jesse raised lots of chickens and ducks and had a favorite old dog Baily, they too will also miss his caring touch. He was known to be a prankster with a great sense of humor, his joking and tricks will be missed by all that had the pleasure of receiving a prank. He was an avid hunter and fisherman as well. In addition to his wife Christine, he is survived by two children, Abigail and Jeremiah, one brother, Robert “Bobby” Gromley, Jr. and wife Beth of Creekside, one sister, Melinda “Mindi” Fetterman and Gale Huey of Smithport, brother in laws, Steven Craft and wife Aimee of DuBois, and Dakota Craft and Tiffany of Punxsutawney, sister in law, Ashley Heffner and husband Justin of DuBois, nieces and nephews, Katlynn and Logan Gromley, James and Braden Fetterman, Payton, Raiden and Braxston Craft, and Hunter Heffner, father in law, Dennis Craft of Punxsutawney, Grandfather, Fred Williams of Glen Campbell, and Sandra Siford of Cherry Tree who was like a second mother to him. He is preceded in death by his father, his grandmothers Helen Gromley and Sharon Williams, mother in law, Patricia Craft, uncle, Paul Siford and niece Trinity Craft. A memorial luncheon is being held from Noon until 2 p.m. March 26, 2019 at Lindsey Volunteer Fire Company, followed by friends being received from 3-6 p.m. at Shumaker Funeral Home, Inc., a memorial service will be held at 6 p.m. at the funeral home, officiated by Pastor Doug Wolfe. Memorial donations may be made to CNB to help with expenses.